How get to Sandhan Valley by local transport? 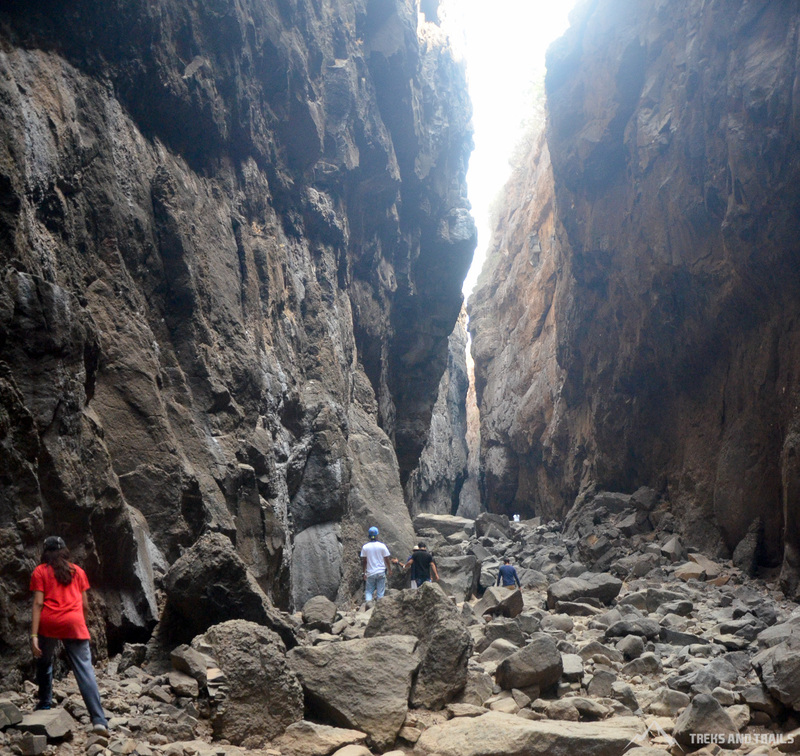 Sandhan valley is one of the greatest canyons in the Sahyadri mountain ranges. It is a very good combination of a canyon and a valley. Located in the Nagar district, near the famous fort Ratangad Fort Sandhan Valley is undoubtedly the valley of suspense. Water carved valley is 200 feet deep and about two kms long approx. 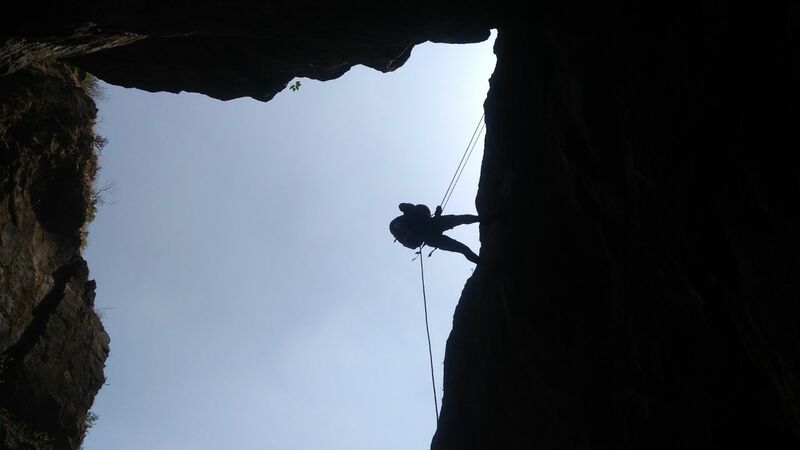 Walking through the narrow streak of valley with 200 ft rock walls on both the sides is a awesome lifetime experience. 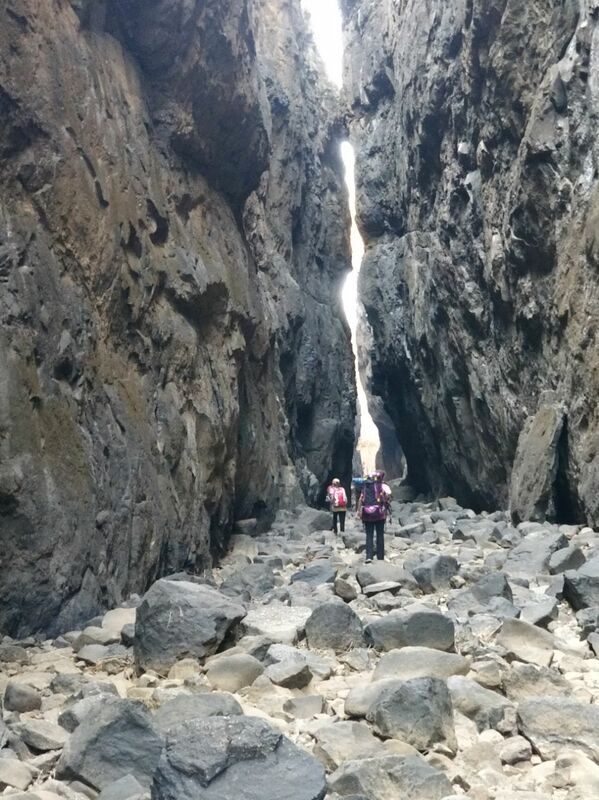 Descending full Sandhan valley is always a memorable outing and the overnight stay under the sparkling sky, along the reservoir side, is a tart on the cake. Sandhan valley is located on the western side of the beautiful Bhandardara region, near Samrad village. 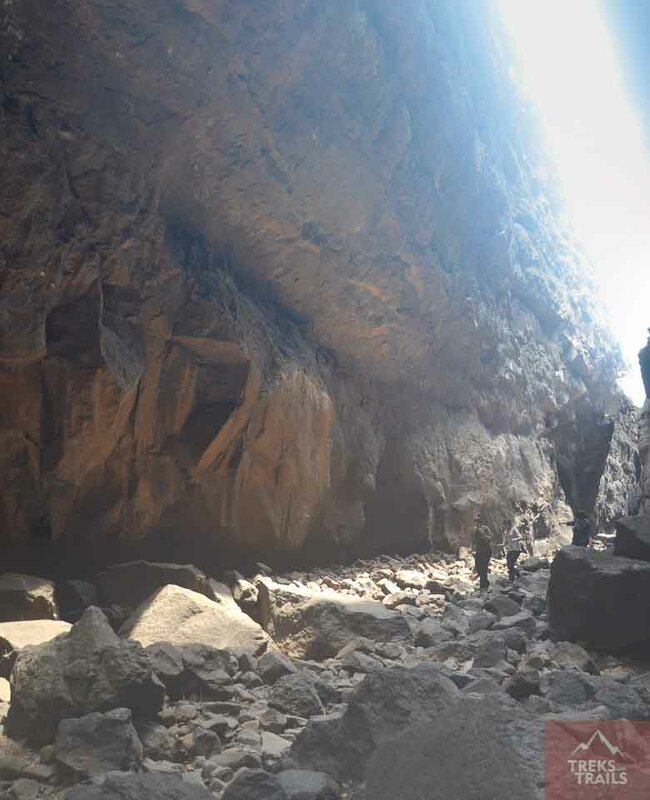 The valley is surrounded with mighty forts Alang, Madan and Kulang known as AMK rated as the toughest trek in Sahyadri. Ratangad, Ajoba & Kalsubai Peak 5400 feet highest peak in Maharashtra mountain ranges. At some places its width is less than 3 feet and at some places sun rays unable to even reach the ground. Which gives it’s the name valley of shadows to go at end of gorge you have cross 2 water pools, water level changes according to season. In winter water is up to waist and in summer it is up to knee high level. At the end of valley you get magnificent view of high cliffs and deep valleys. 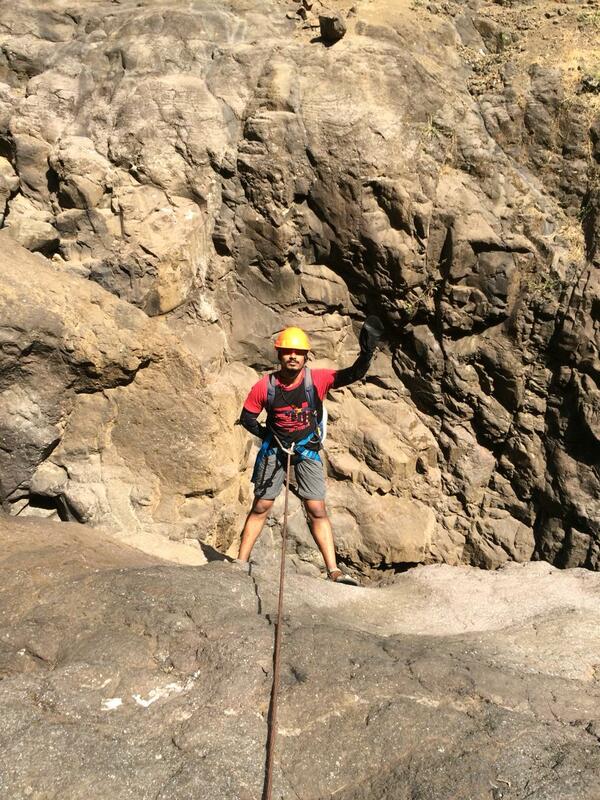 You have to rappel down 1 patch max height 45 feet and the famous Sandhan Valley rock patches. 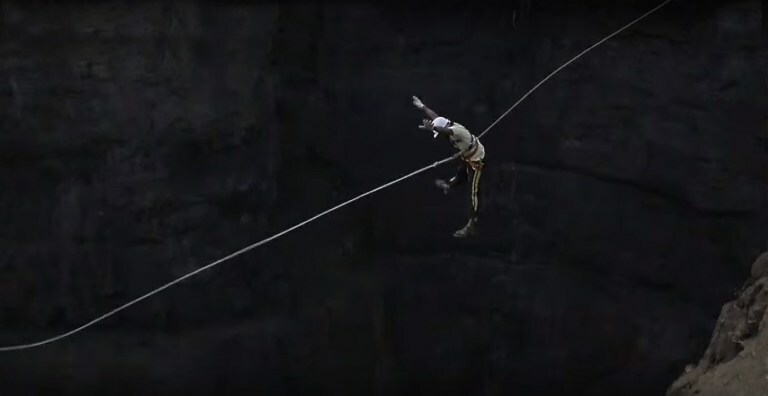 For the two small rock patches we should use ropes to climb down. After climbing down the second rock patch you shall see some flat ground where we can stay overnight. There is a small stream that gives you fresh water drinking. This stream flows into a huge pond. This pond water is not suitable for drinking purpose the rare chance to see dance of stars, shooting stars at night from aperture created by 15 feet wide and 200 feet long walls makes trek to Sandhan Valley special and memorable. For those who have attempted want to go once again however very few people have taken up this phase as it is considered to be very tough. Sandhan Valley is that part of the beautiful Sahyadri mountain ranges which offers a challenging trek a trekker’s delight. Via Ghoti Ghoti- Bhandardara Road - Total Distance 199 km for Sandhan Valley Kalyan - Shahapur - Kasara - Igatpuri - Ghoti - Vasali Phata - Varaghushi Phata - Shendi Bhandardara - Panzare - Udhawne - Ghatghar Dam - Samrad village. Nasik - Wdhiware - Ghoti (Ghoti- Bhandardara Road) - Vasali Phata - Varaghushi Phata - Shendi Bhandardara - Panzare - Udhawne - Ghatghar Dam - Samrad . Ratanwadi phata - Shendi Bhandardara - Panzare - Udhawne - Ghatghar Dam - Samrad village - Ratanwadi - Ratanwadi phata - Shendi Bhandardara. 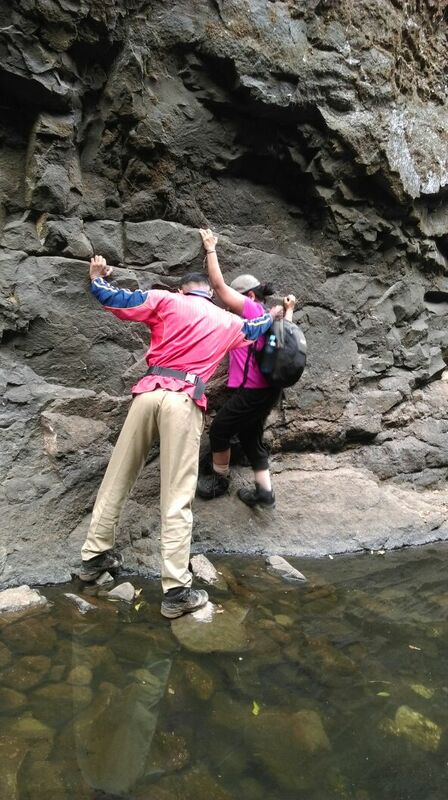 Sandhan Valley Trek time Is around 5 hours which includes rappelling and crossing pool of water and deep gorges and one of its kinds of lifetime experience which you feel at end of the trek. The best way from Mumbai to get to Sandhan Valley is to take a Central Railway train bound for Kasara. The train journey takes around about 2 hours, 40 minutes. It is advisable to check the railway time-table in advance about trains going to Kasara. Another choice would be to take a train to Igatpuri however Kasara would be a preferable option as there are plenty of local trains to choose from as compared to Igatpuri where only outbound train are available. It is more convenient to take a jeep from Kasara to Samrad village which is at a distance of 80 kms and would take about 2.5 to 3 hours to reach the base village. Since the train reaches early morning arrangements for a private vehicle should be made before hand to reach Samrad village. 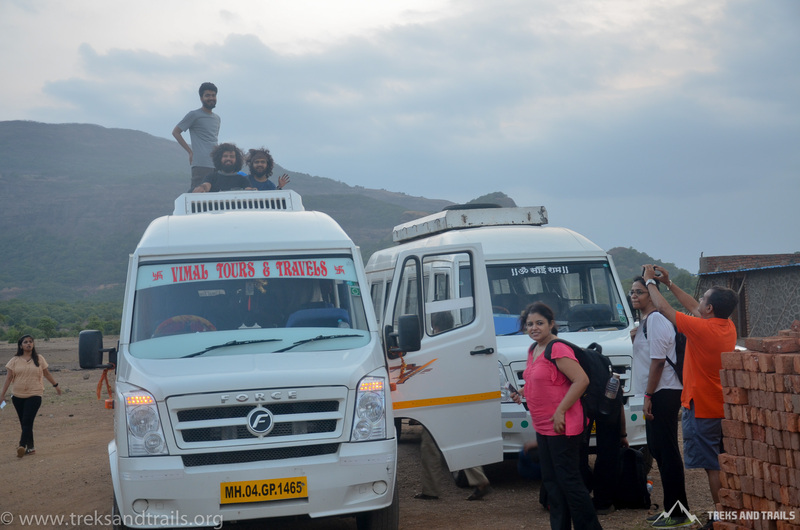 There is also an option to take an ST bus from Kasara or Igatpuri station but one should be fully aware about the ST bus timings as it is very important to reach the village early in the morning to start the trek to Sandhan Valley. Hiring a private vehicle would be the most suitable and suggested way of getting to Sandhan Valley as this place is not well connected and a bit secluded hence getting public transport is difficult. 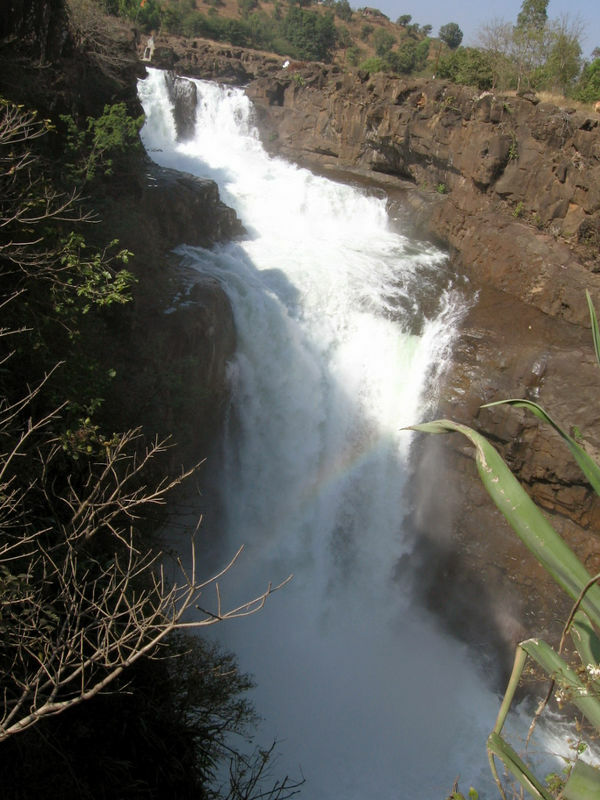 Konkan kada is a naturally formed viewing gallery about 3 Kms from Samrad in the south west direction. 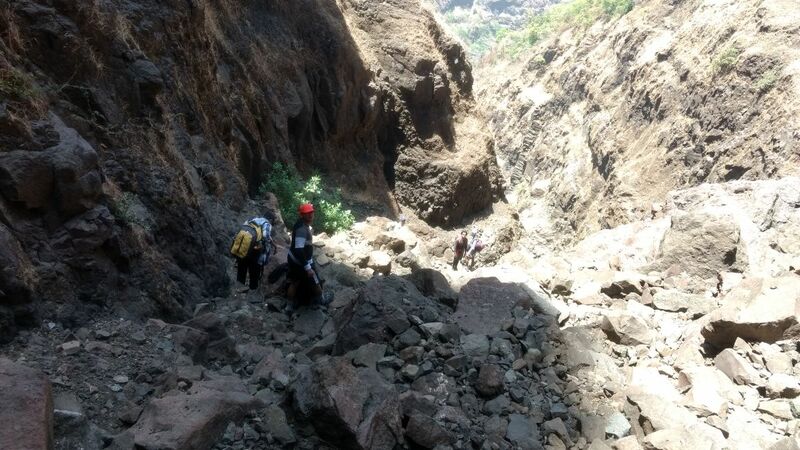 A broken trail from Samrad leads to Konkan kada or Ghatghar. 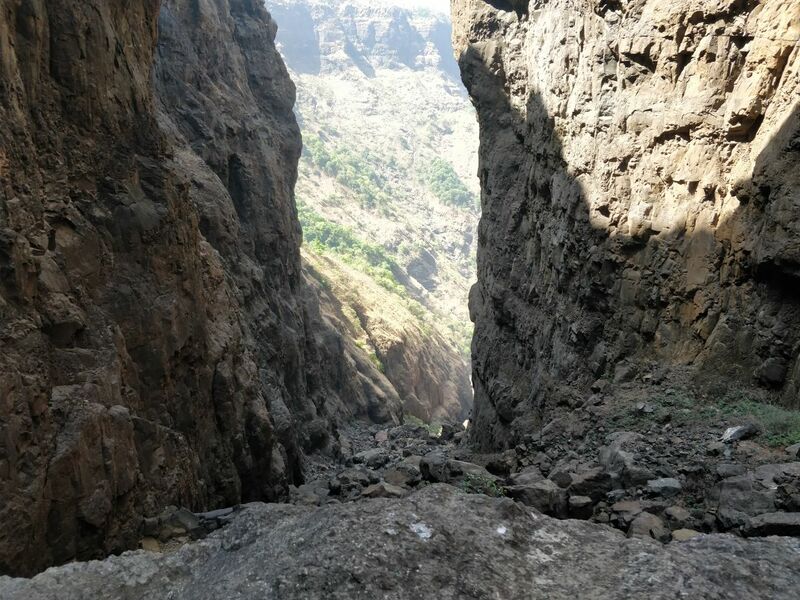 Down the valley is Thane district while the kada (cliff) is in Ahmednagar district. Konkan kada offers breathtaking view of the high mountains around. The skies above Sandhan valley are darkest in Maharashtra and offers imposing view of the heavens above thus making it an ideal place for photography and astronomy. The skies are absolutely free of stray city light or vehicle lights lighting up the sky or causing a halo. 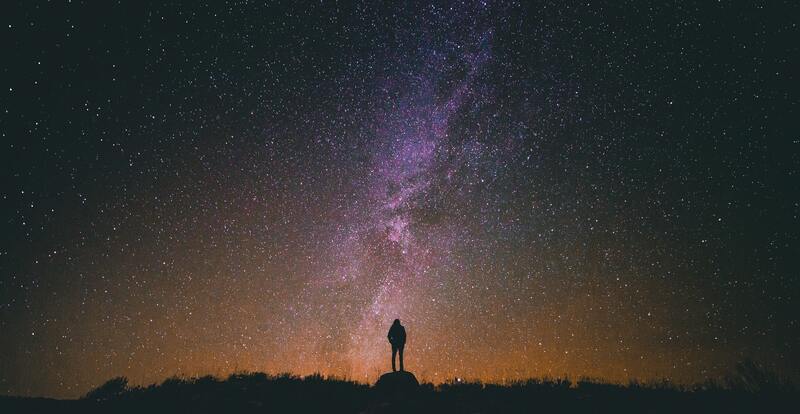 The skies are ideal for time lapse or long exposure photography and for Astronomy. A good telescope, binoculars and DSLR camera are thus necessary for pursuing interests in astronomy or photography. A new moon night is thus an ideal time to camp under the darkest skies. 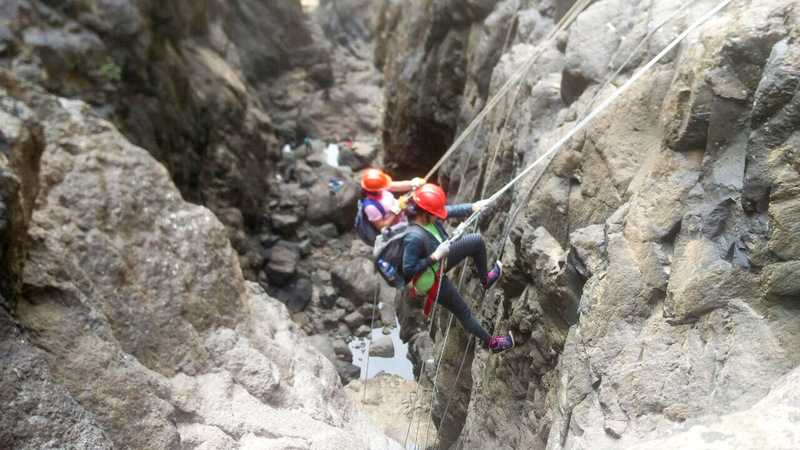 One such activity conducted by trekking groups at Sandhan Valley is the giant swing. This is a extremely dangerous adventure. And much be done professionally under expert guidance and assistance. Participants must check the organiser prior experience. Samrad is a village in Akole Taluka in Ahmednagar District of Maharashtra State, India. Samrad Pin code is 422604 and postal head office is Rajur. Samrad is surrounded by Sangamner Taluka towards East, Sinnar Taluka towards North, Junnar Taluka towards South, Igatpuri Taluka towards west. Marathi is the Local Language here. Total population of Samrad is 597 .Males are 312 and Females are 285 living in 106 Houses. Total area of Samrad is 1841 hectares. source online database (not verified). By Road Igatpuri is the Nearest Town to Samrad. Igatpuri is 70 km from Samrad. Road connectivity is there from Igatpuri to Samrad. Closest railway station is Igatpuri railway station. You can reach from Igatpuri to Samrad by road. However Nashik railway station is major railway station at 54 km near to Samrad village. There is no railway station near Samrad village in the radius of 10 kms. Being a remote village there are no hotels in Samrad. The locals make homestay arrangements. Trekkers and Mountaineers can opt to stay in their own camping tents carried along. There are no shops in Samrad, hence it is recommended to carry snacks, packaged drinking water and medicines. Clean drinking water is also available from nearby well. There are no toilets in Samrad hence one has to make own sanitation arrangements in the open jungle. Stay put in the lap of nature in a camping tent is a thrilling experience and undoubtedly the best stay option. For a more cossy and warm accommodation opt for homestay. Home cooked local Maharashtrian fare is available consisting of Bhakri, Bhaji, Dal, Usal, Rice, Thecha and pickle. Breakfast could be Poha, Upma or Maggi with piping hot tea all cooked on a clay oven. Samrad has electricity supplied through Solar Rural Lighting. There are no shops or eateries at Samrad. Trekkers are advised to make their own arrangements with the villagers before starting for the trek. 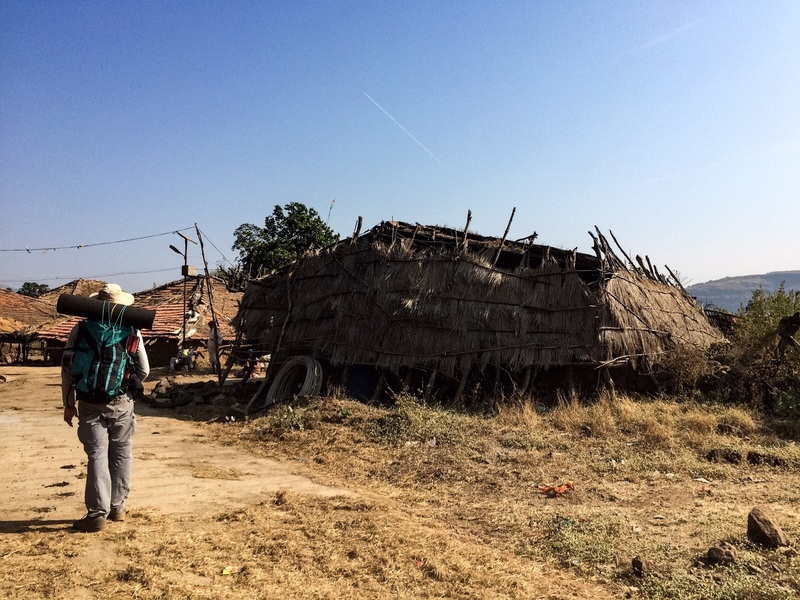 The villagers are friendly, hospitable and helpful people, alongside farming they earn a livelihood by making food and stay arrangements for trekkers and picnickers at a very nominal cost. Bhandardara – This is a new amazing find in the vicinity and is a popular hill station 30 Kms away from Samrad. It is less crowded compared to other hill stations in Maharashtra. Bhandardara is known for the Wilson Dam built on the Arthur Lake. If you are in the mood to enjoy the rough but beautiful terrain around then head straight to Sandhan Valley. 11th century Shiva Temple in the village of Ratanwadi 10 Kms from Samrad. 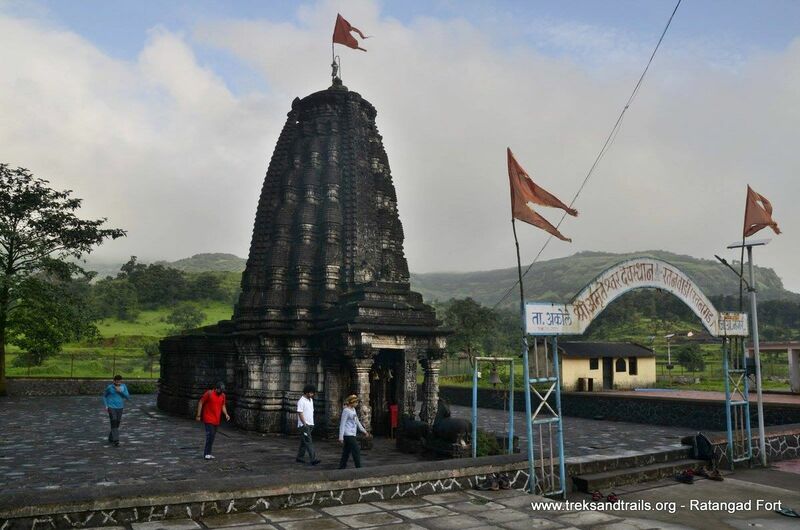 Ratanwadi is also the base village for a trek to Ratangad. There are no stay options at Sandhan valley except to camp in the open use of tents possible. 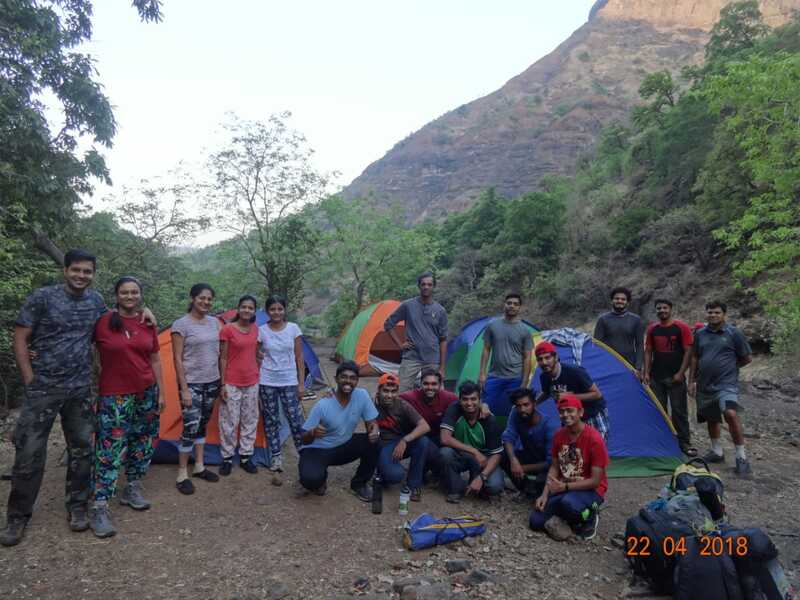 Things to carry for Sandhan Valley Trek: Tents, toilet tents, sleeping bags, mats, rappelling gear and basic food, utensils, safety equipment, rope harness, mittens, helmets. Mobile Networks Connectivity: Reliance, Idea, Airtel connectivity is available in this area. Thou signal strength varies. Sandhan Valley Camping: An ideal campsite can have basic amenities such as Tents in which 3 people along with carry mats and a tent light can stay for a night. 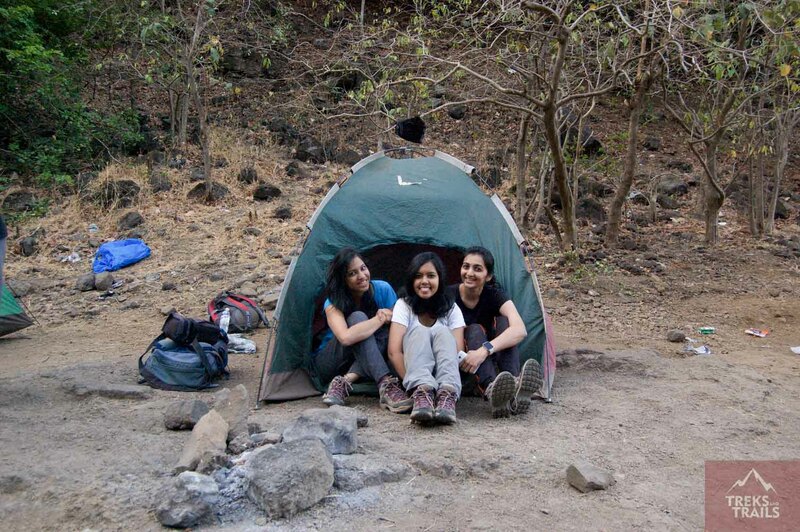 Camping can be organised at Samrad village and also after Sandhan Valley trek. Toilet at campsite answering the call of nature, well, in nature doesn't have to be embarrassing or inconvenient. We may provide dry pit tent for nature call at Sandhan Valley based on client requirements need to plan for this in advance, as its not available on all events. The information provided is only for information purpose. Please check with the family doctor before embarking on the trek. Also seek local assistance at Samrad valley. Please ensure that your have experienced trekker along with you for this trek. 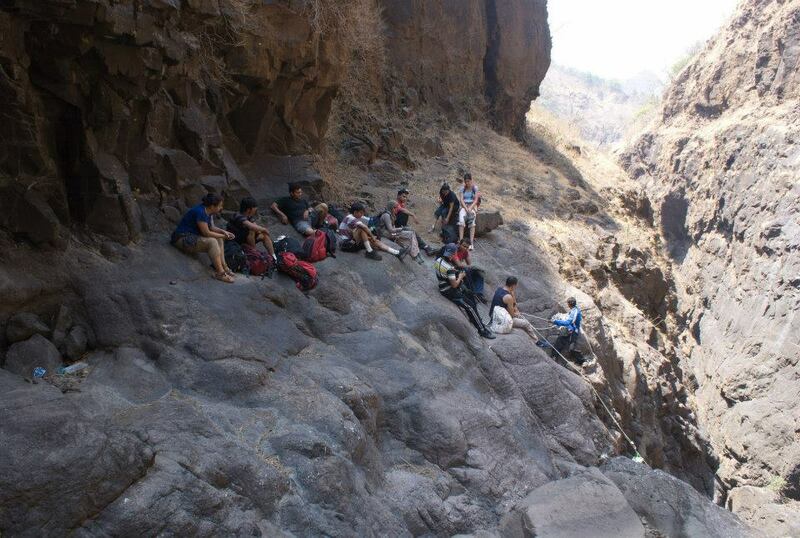 Prior trekking experience is recommended before you trek to Sandhan Valley. Treks and Trails, India does not guarantee any part / full of this publication. Giant swing activity is highly risky. Treks and Trails, India does not recommended giant swing for all.